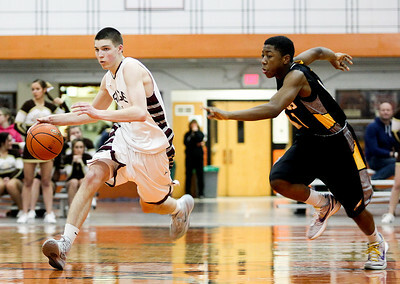 Sarah Nader- snader@shawmedia.com Prairie Ridge's Michael Bradshaw (left) is guarded by Jacobs' Mike Canady while he dribbles the ball towards the basket during the fourth quarter of Tuesday's Class 4A Crystal Lake Central Regional game March 4, 2014. 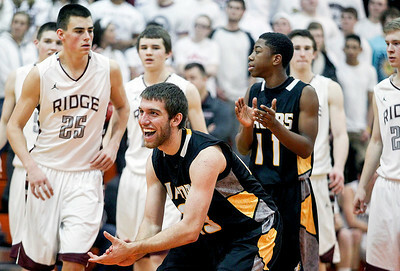 Jacobs' defeated Prairie Ridge, 55-46. Sarah Nader- snader@shawmedia.com Jacobs' Ben Murray (center) celebrates during the last seconds of Tuesday's Class 4A Crystal Lake Central Regional game against Prairie Ridge on March 4, 2014. 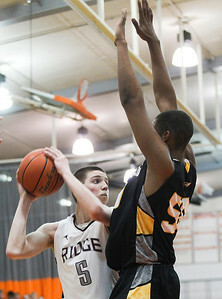 Jacobs' defeated Prairie Ridge, 55-46. 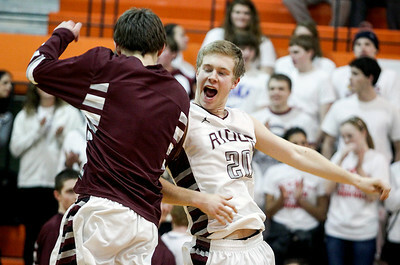 Sarah Nader- snader@shawmedia.com Jacobs' Robert Grant (left) and Cameron Krutwig celebrate after winning Tuesday's Class 4A Crystal Lake Central Regional game against Prairie Ridge on March 4, 2014. Jacobs' defeated Prairie Ridge, 55-46. Sarah Nader- snader@shawmedia.com Prairie Ridge's Michael Bradshaw (left) is guarded by Jacobs' Robert Grant during the their quarter of Tuesday's Class 4A Crystal Lake Central Regional game March 4, 2014. Jacobs' defeated Prairie Ridge, 55-46. Sarah Nader- snader@shawmedia.com Jacobs' Robert Grant (left) is guarded by Prairie Ridge's Ryan Gilbert while he shoots during the second quarter of Tuesday's Class 4A Crystal Lake Central Regional game March 4, 2014. 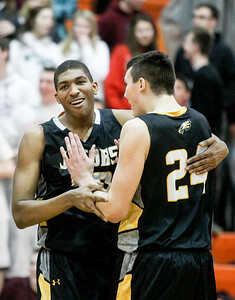 Jacobs' defeated Prairie Ridge, 55-46. Sarah Nader- snader@shawmedia.com Jacobs' Chris Canady (center) brings the ball towards the basket during the second quarter of Tuesday's Class 4A Crystal Lake Central Regional game March 4, 2014. 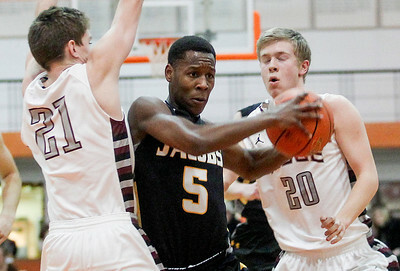 Jacobs' defeated Prairie Ridge, 55-46. Sarah Nader- snader@shawmedia.com Jacobs' Michael Bradshaw (left) guards Jacobs' Cameron Krutwig while he shoots during the first quarter of Tuesday's Class 4A Crystal Lake Central Regional game March 4, 2014. Jacobs' defeated Prairie Ridge, 55-46. Sarah Nader- snader@shawmedia.com Prairie Ridge's Payton Otto (right) is announced before Tuesday's Class 4A Crystal Lake Central Regional game against Jacobs on March 4, 2014. Jacobs' defeated Prairie Ridge, 55-46. 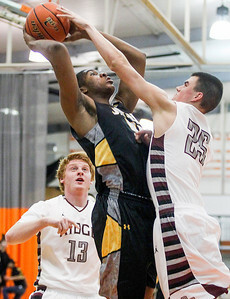 Jacobs' Chris Canady (center) brings the ball towards the basket during the second quarter of Tuesday's Class 4A Crystal Lake Central Regional game March 4, 2014. 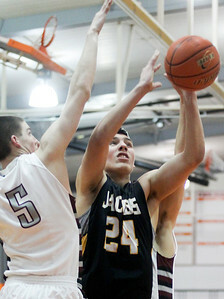 Jacobs' defeated Prairie Ridge, 55-46.